By now, we’ve all heard the recommendations for a heart-healthy diet – reduce your saturated fat intake, avoid trans fats, cut back on salt. But did you know there are specific foods you can eat that can help lower your LDL (“bad”) cholesterol even further? Researchers have created a “portfolio” of cholesterol-lowering foods, that, when eaten together along with a heart-healthy diet, are even more effective at reducing LDL cholesterol than a low-saturated fat diet alone. Follow these four simple steps to maximize your heart health. The two types of fiber, soluble and insoluble, are beneficial for a host of health issues, but getting 10 grams of soluble fiber every day is useful for reducing LDL cholesterol. Fiber is found in all whole plant foods such as fruits, vegetables, legumes, nuts, and grains; foods highest in soluble fiber include oats, barley, beans, citrus fruits, apples, okra, eggplant, and ground flaxseeds. You can also take a fiber supplement made from psyllium husk (e.g., Metamucil). Aim for adding 25 grams a day of soy protein to help lower LDL cholesterol and reduce your risk of heart disease. Choosing more plant proteins, such as soy, in place of animal proteins helps reduce intake of saturated fat and cholesterol while increasing fiber. To get to 25 grams, aim for two servings of soy foods a day—examples of a serving include ½ cup shelled edamame, 1 cup soy milk, ½ cup tofu, 3 ounces tempeh, or a soy “burger” (such as Boca Burger). This study looked specifically at eating ¼ cup of almonds every day (plain, not salted or honey-roasted), but the heart benefits of all nuts are well-documented. Sprinkle them on your oatmeal, salad, or stir-fry, or simply eat a small handful as a snack. Plant sterols and stanols are naturally found in plant foods such as fruits, vegetables, and grains, and are very effective at lowering LDL by blocking cholesterol from being absorbed into the bloodstream. The problem is that it’s impossible to eat enough fruits and vegetables (even for this dietitian!) to get to the recommended dose of 2 grams a day. Many foods have added plant sterols and stanols (such as Benecol and Take Control margarine or Minute Maid Heart Wise orange juice), but I prefer a capsule such as Nature Made CholestOff (taken with meals). These supplements help to avoid the extra calories from fortified foods (it takes 4 tablespoons of Benecol spread to get to the recommended 2 grams of plant sterols – too much margarine, in my opinion!). After years of hearing what we shouldn’t eat, I love being able to tell people that eating more of certain foods can improve their health. 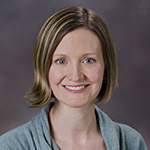 Tracy Severson, RD, LD, is the dietitian for the Center for Preventive Cardiology at the Knight Cardiovascular Institute. She specializes in nutrition counseling for cardiovascular health and weight management. Thank you for this information, Tracy. Very helpful. A couple of questions, when you say “beans” regarding soluble fiber, do you mean green beans, legumes, or something else? At what intake of soy does the estrogenic effect start to occur? Regarding almonds, is there a nutritional difference between raw and roasted? Finally, it’s my understanding that margarines are NOT heart healthy and should never be eaten. Would you expand on this? Thanks so much. Thanks for your questions, Susan! · Legumes such as dried beans and lentils are high in soluble fiber. 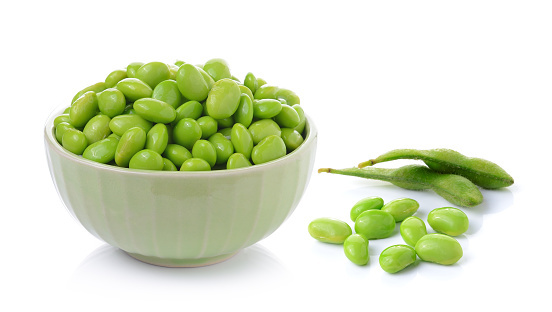 · Diets rich in soy or soy-containing products appear safe and potentially beneficial. The long-term safety of high doses of soy isoflavone supplements is not yet known. It is not clear whether the estrogen-like activities of soy isoflavones have any negative health risks such as an increased risk of breast cancer, but it’s generally best to avoid these supplements until more research is done. (for more information regarding current research on soy, go here and here). · There isn’t a significant nutrient difference between raw or dry-roasted almonds, but beware of the extra calories, saturated fat, sugar, and/or salt in oil-roasted, honey-roasted, or other types of flavored almonds. · Most margarines no longer contain harmful trans fats and now have a healthier fat profile than butter. It’s still important to check the ingredient list of margarine (and all foods) for “partially hydrogenated oil,” which means the product does contain some trans fats (if it has less than 0.5 grams per serving, manufacturers are allowed to round down to 0 grams trans fat on the nutrition label). A tablespoon of butter contains 7 grams of saturated fat, while a tablespoon of a trans-fat-free margarine such as Smart Balance contains 2.5 grams of saturated fat. If you still prefer to avoid margarine, you can also find a blend of butter with canola oil (Land of Lakes Butter with Canola Oil contains only three ingredients: butter, canola oil, salt) that reduces the saturated fat to 4 grams per tablespoon; still high, but an improvement over butter. Better yet, choose healthy plant-based fats such as olive oil, avocado, or nut butters instead of butter or margarine.